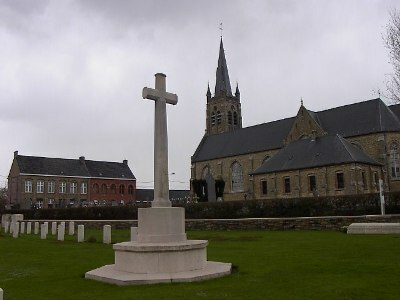 Dickebusch Old Military Cemetery was used as a front line cemetery in January, February and March 1915. 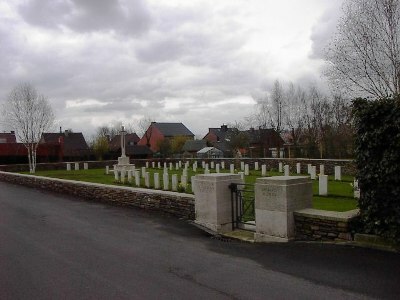 The cemetery contains 46 First World War burials. 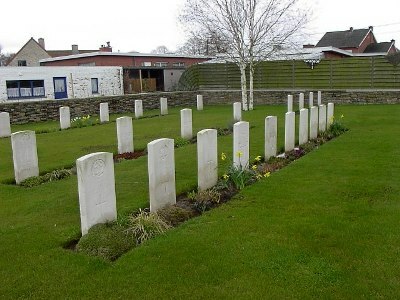 There are also ten burials from the Second World War, all dating from late May 1940 when the British Expeditionary Force withdrew ahead of the German advance.